Early Readers are stepping stones from picture books to reading books. A blue Early Reader is perfect for sharing and reading together. 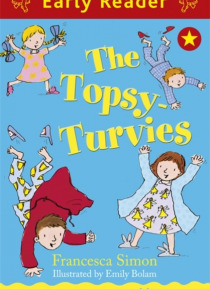 A red Early Reader is the next step on your reading journey.Meet the Topsy-Turvies family - they do everything back to front! They get up at midnight, wear their pyjamas outdoors and eat breakfast at the end of the day. So when a burglar comes to visit, he is in f… or a shock.